I am a bit cross with myself for leaving it so long to write a review of what is possibly one of my favourite books of the year. In the time since I have read this book much has happened and annoyingly I have lost the notepad where I kept all the page numbers of my favourite/most haunting or apt passages of which this book has many. 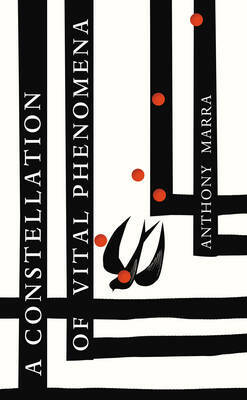 However one thing that hasn’t happened in this time is that the memories of ‘A Constellation of Vital Phenomena’, Anthony Marra’s debut novel, have in no way lessened and the book its prose and the characters have stayed with me ever since. It is also one of those books which is so good and holds so much within its pages it is an absolute nightmare to write anything that can do the book justice. A few books I have read recently have shamed me by highlighting how little I know about world history. I know we can’t know everything yet it seems to me (and this is apt with what is going on in Syria now) that sometimes I need to be made more aware of what has happened in my lifetime away from my home shores. In the case of ‘A Constellation of Vital Phenomena’ it is Chechnya which is highlighted and which Anthony Marra gives an unabashed account of; it is fiction but as he says in his authors note it is very much based on real life sources of ‘essential and courageous testimony’. It is this background Marra has researched and witnessed that seeps into the book making it a vivid and sometimes quite difficult book to read yet one that is also incredibly powerful and thought provoking. As the novel opens we meet Havaa, a young girl living in the tiny village of Eldar that has been devastated by the effects of war, the night after something newly awful has happened to her (for we learn there has been more). “On the morning after the feds burned down her house and took her father, Havaa woke from dreams of sea anemones.” She finds herself in her neighbours, Akhmed, house who took her in after she miraculously escapes. However Akhmed knows that Havaa will never be safe in her village and so decides to take her to a complete stranger, Sonja a doctor who left the safety of Britain to look after her people and find her sister back in her home country, in a bombed out (though still running) hospital in the city. Initially as a reader you are left with lots of questions. Why does Akhmed believe a little girl could be safe in a dangerous city with a stranger? Why did Sonja come back and where is her sister? Why have the Russian feds taken Havaa’s father, where is he and what might happen to him? Through Marra’s masterfully crafted story we slowly but surely learn all of the answers as he unwinds all the strands of each characters story. Cleverly, and never with a sense of cliché, we soon come to see how all their lives are indeed interwoven even when they themselves don’t. The sense of endless questions for a reader is a bold move at the start of any book, it can create a great tension of mystery or leave the reader lost and confused. It is definitely a case of the former with ‘A Constellation of Vital Phenomena’. Yet Marra doesn’t stop with the risks here which is really exciting to see in a debut novel. There is of course the level of ‘shock and awe’ that he throws into the book, we are left in no doubt as to how many people have died and how, or what goes on in the torture camps set up for traitors – one of the tales of a villager turned spy is horrendous but brilliantly written. His biggest gamble however is the fact that he doesn’t tell you the book in any sense of chronological order. 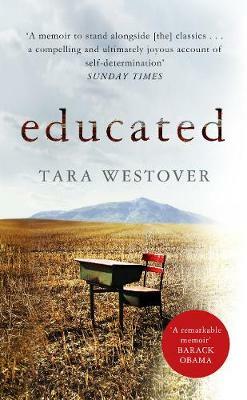 The book takes place over ten years of conflict (from 1994 to 2004, the proximity of which shocked me all the more) yet we flit between these years randomly (though each chapter is headed by the year) Marra asking the reader to stitch it all together the right way themselves by the end and it works. What made the book come completely alive for me were the characters. The main characters ‘walk of the page’ (cliché alert, true though) which makes the book all the more harrowing and emotional in parts – I cried a few times, I won’t lie. So do all the background characters too. Some are secondary characters like Deshi, a nurse who works with Sonja, a woman who has had many lovers though all have ended in disaster and so she despises all men bringing a comic tone to the book often (there are quite a few comic moments you wouldn’t expect throughout the novel, even in the worst of times people laugh). Others simply appear for a page or two or a paragraph, yet Marra does something brilliant here by telling you their life to come in a sentence. True sometimes this can be in the form of ‘when he was to die of a tumour six years later’ though it can also be ‘he would watch his grandchild fascinated by the escalators in a decade’s time’ – I am paraphrasing here as I haven’t the exact quotes to hand annoyingly. It is the characters along with Marra’s ability to catch an atmosphere of terror, bewilderment and hope, during such a time which makes the book all the more real, harrowing and powerful.